Issues with mail folder list and preview. 1. 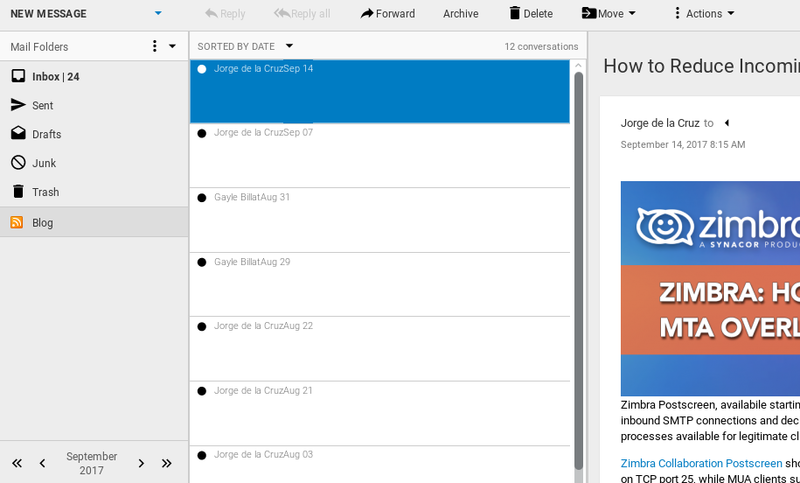 In the right hand preview pane it looks like the original mail didn't have any content. It does show content when I click on the white square but there is no hint that I should do so. 2. In the folder list, no mails shows a preview text. They all just say "..."
Re: Issues with mail folder list and preview. 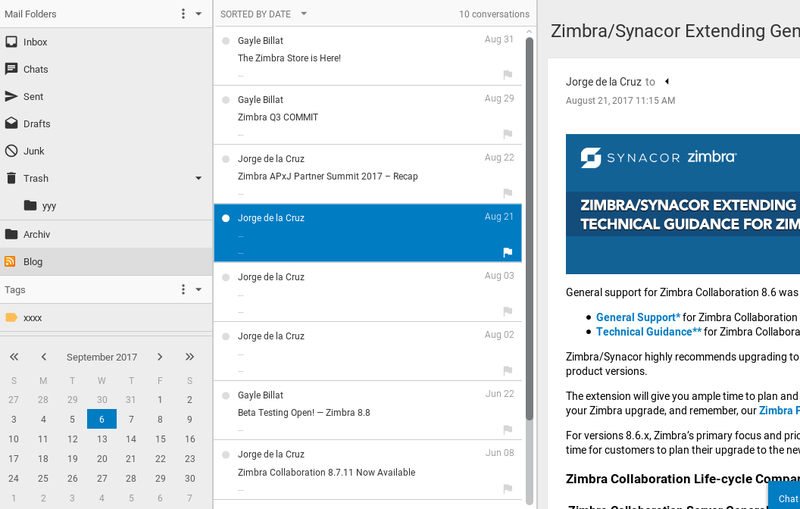 That's odd: On universal.zimbra.io I can see the mail preview (I think it is called snippet somewhere) in the folder list. On my own installation I can't. Both are the same build according to the About dialog. I've sent this issue to the Engineers, they will let us know soon.